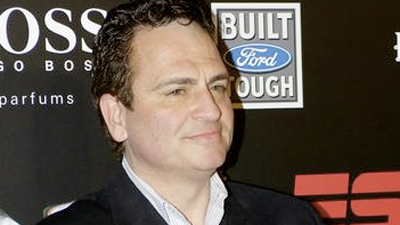 Yesterday, Jay Mariotti told the Sherman Report that Jay Mariotti would once again be teaming up with ESPN, this time for a "freelance storytelling" assignment. Whatever that means. "ESPN has graciously given me a chance to try freelance storytelling, potentially a longer-form piece the network does so well. I’ve started working on a particular project. I’ve been fortunate to write the columns, do the TV shows, host the radio shows, cover the major events and see the world. I think strong narratives always will stand out in a sports media business swirling in change (not all good). You’re seeing a boom in definitive, longer-form stories for TV and digital. Getting to explore this creative avenue with ESPN, the industry leader, is exactly what interests me right now. I appreciate the opportunity, and we’ll see where it goes from here." Leave it to Mariotti to throw in his opinion about the state of a business he hasn't worked in for almost three years. If you will recall, Mariotti involuntarily parted ways with ESPN and AOL Fanhouse after his arrest for felony domestic assault. Mariotti got out of jail time by pleading no contest, but what has he been doing with his all too abundant free time? "Maybe I’ve been tamed by a sky that is unfailingly blue, or a breeze that cools the burn on my face while biking along the ocean, or the Negra Modelos at the boardwalk bar as the sun drops over a backdrop of Santa Monica mountains and Malibu surf. But here in Southern California, I don’t understand Chicago’s batshit-apoplectic-crazy reaction to last week’s debacle in Green Bay. I’m amused by it all, actually, having suffered the city’s perpetual throbbing headache much too long before finally having my lobotomy four years ago." Does anyone else want to bathe in Clorox after reading that? He is so full of himself for no reason whatsoever, I just can't understand why anyone would hire him to write, much less "storytell." And for the record, as someone who has lived in Chicago for almost six years, I can say with 100% certainty that the city is amazing, and if ever there was a throbbing headache here, its name was Jay Mariotti. ESPN's decision to work with Mariotti again under any capacity is impossible to understand. There are thousands of capable "storytellers" around the country that don't have the embarrassing, checkered legal history and immediately make you want to take a shower after hearing their name. Even if it's for a freelance one-time gig, ESPN needs to face some major questions for daring to employ Jay Mariotti again. Not to mention the freelance trouble they've gotten into in the last year with Sarah Phillips and that fake Lukas Podolski interview. What does it say for ESPN as a company that they'd be willing to hire a man that faces universal disdain and may be more disliked than Rob Parker and Skip Bayless combined. There's no possible upside to ESPN attaching their name with Jary Mariotti's name, and yet here we are. Mariotti has been stroking ESPN's ego ever since he and the network parted ways, so maybe this new "project" of his came about because of that. Surely it can't be because of talent. And this will be one story we don't want to hear.